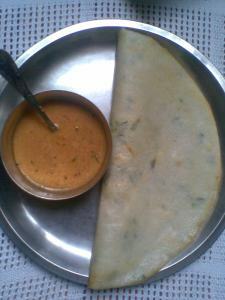 Hmmm....you think dosas are all crisp and yummy crepe's made too be savored with the hottest chutny......aaah..the chutny has to be hot and the dosa?? Aha your dosa brought back the memories of Connaught Place. I don't remember the exact name...but there is a south Indian restaurant just near Nalli's which used to serve excellent dosas with like 6 types of chutney...ohh yum!! 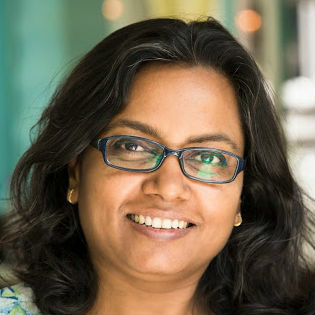 You make all sorts of Dosas now? 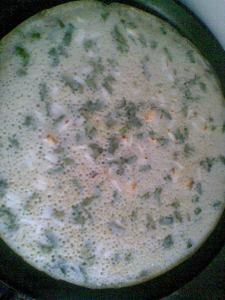 This looks great..and the recipe too..will try...any specific reason for using 4:1 rice and Dal? I understand 3:1 is conventional. I use any thing between 1:1 to 3:1 depending upon how much less carbohydrate is to be consumed via rice.. 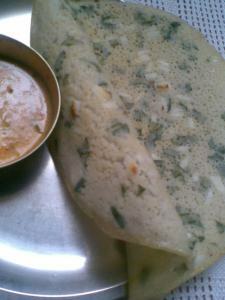 I have tow dosa fans at my house, i am feeling like coming to ur house and having this dosa.. beautiful!! They look so perfect, this is one of my favorite comfort food and infact had this for today's breakfast. 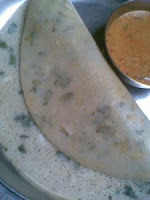 Nice those.... they are perfectly... loved ur blog post title..
Dosa looks super delicious, my friend. And so does the pao bhajji...miss those yummy street foods here:)I never tried to make pao from scrtach at home...wish to try it real soon.